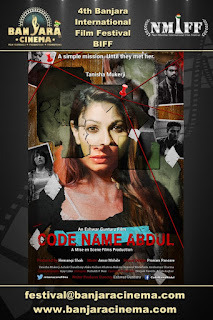 Banjara Cinema: 4th Banjara International Film Festival welcomes the submission of Feature Film "Code Name Abdul" from United States, directed by Eshwar Gunturu. 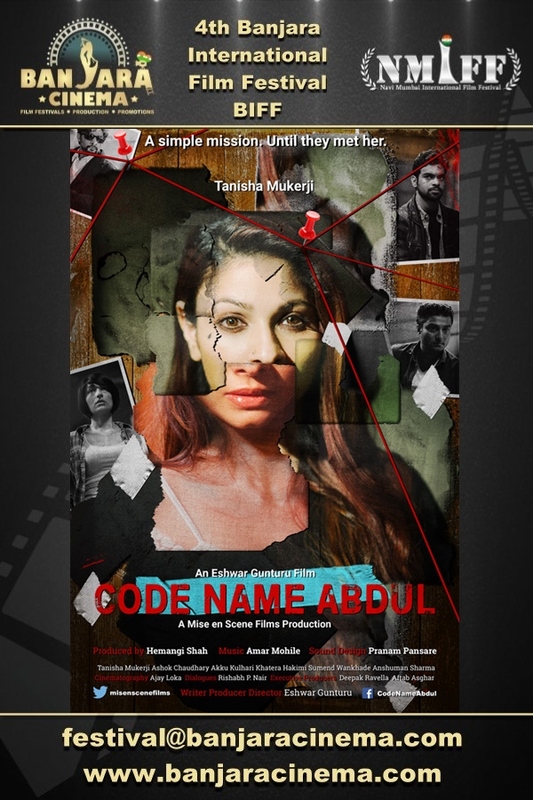 4th Banjara International Film Festival welcomes the submission of Feature Film "Code Name Abdul" from United States, directed by Eshwar Gunturu. Synopsis: Four Indian Counter Intelligence Agents are given a mission to move an elusive terrorist Tariq from USA to India. At the pick-up point, they find Tariq's mysterious sister-in-law Salma, whom they take to a safe house for Interrogation. Do the four Indian agents get Tariq or will they fail India? And who is Salma and how does she know so much about the workings of Tariq’s terrorist group?